1977 – Viall Sensei began his karate training in Shōrin-Ryū (Matsubayashi Ryū) at the age of 7 with his father. His father focused on basics and LOTS of board breaking. 1985 – At the age of 15, he found a Shōrin-Ryū (Kobayashi Ryū) Dojo in Torrance, CA and began training with his second father, Richard Rabago. While training with Rabago Sensei, he also had the privilege of training with exceptional karateka: William Ford, Lelagi (Butch) Togisala, Ron Williams, and David Loo. 2006 – He relocated to Nashville, TN with his wife, Maria, and their two kids. 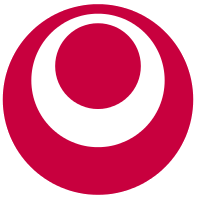 2010 – While searching for a Shōrin-Ryū school to continue his training, he stumbled across the Nashville Dojo, previously owned by Sensei Darren Reed. 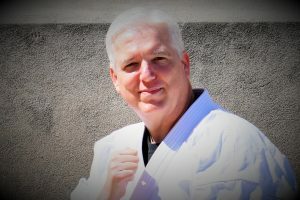 Not only is Sensei Viall happy to have found a dojo that he was pleased with, he was very happy to know that Nashville Dojo taught Isshinryū Karate, a style composed of both Shōrin-Ryū and Goju-Ryū. Reed Sensei immediately welcomed him and his family and they became part of the dojo family. While training under Reed Sensei, he also had the opportunity to train with other memorable instructors: Butch Hill, Ray Clubb, Fred Jenkins, Rob Wethington, and the late Roy Vaughn. 2017 – Reed Sensei passed on the Nashville Dojo to Viall Sensei. Many thanks to Reed Sensei for making this dream a reality.